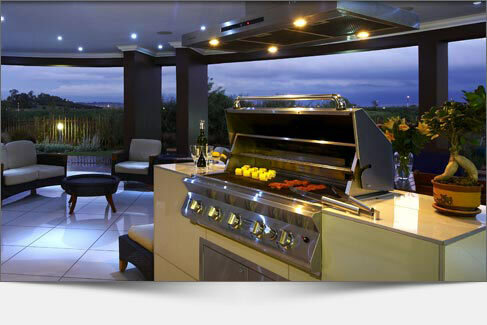 Although the relevant Regulation has been around for a while, we still receive queries from owners, trustees, managing agents and estate agents as to what is required when an owner of a sectional title unit wants to install a gas stove or gas braai within their section (or on the common property). Perhaps these queries are due to the fact that we have recently learnt not to rely on our electricity supply. The Pressure Equipment Regulations were introduced in 2009, in terms of the Occupational Health and Safety Act 85 of 1993. In terms of these Regulations, all gas installations (gas braais, gas stoves / ovens, and gas hot water systems) must have a Certificate of Conformity, which states that the installation has been properly inspected and is determined to be safe and leak free. The certificate must be issued by an authorised person, who is registered with the Liquefied Petroleum Gas Safety Association of Southern Africa (LPGAS). Regulation 1 defines an “authorised person” as a person who is registered as competent within the scope of work for which an organisation approved by the chief inspector has registered that person. If the section or common property is damaged as a result of a defective gas installation, and a certificate was not issued by someone registered with LPGAS, the body corporate insurer as well as the owner’s contents insurer may repudiate a claim, which would have serious financial implications for the owner and the other members of the scheme. Prescribed Conduct Rule 9 of Annexure 9 of the Regulations to the Sectional Titles Act 95 of 1986, provides that an owner or occupier shall not store any material, or permit or allow to be done, any other dangerous act in the building or on the common property which will increase the rate of the premium payable by the body corporate on any insurance policy. Therefore, it’s important that you review the “fine print” of the relevant insurance policies and the body corporate’s registered rules to see what is required before going ahead with the installation – if it’s allowed! Regulation 17 (3) of the Pressure Equipment Regulations provides that any person selling a property (sectional title unit) which has a gas installation, must obtain a Certificate of Conformity in respect thereof, and must further deliver a copy thereof to the purchaser. Our advice to sellers and estate agents is to ensure that the Deed of Sale includes the necessary clause relating to this requirement – which we, at Paddocks, can draft for you! Obtain a copy of these Regulations on the labour.gov.za website. You dont mention a normal gas heater; a portable one. Is there any ruling about these? You should refer to your scheme’s registered rules, which will be read with PCR 9. Section 18 of the Pressure Equipment Regulations deal with transportable gas containers. This would apply to normal gas heaters. Do you have a view wrt owner/s of section installing a surveillance camera on the wall of his section as a security improvement; but the camera has potential to take footage inside another section, whether in EUA or in the house. How about garages in a ST complex being used as storage units? Storing household goods (fridges, stoves, paint etc) What are the insurance implications for this? Would I be correct in thinking if one ST owner gets a certificate for a gas braai then all ST owners are entitled to get a certificate. (in the same ST complex) ? I am a trustee in a retirement village and the “gas” problem has arisen here too. The JHB Emergency Services provided me with a detailed list of requirements which have to be met before permission to install a gas appliance is given, esp in ST. If you are interested I can provide you with these. What were the special circumstances put forward by Mrs Dorse? Laguna Ridge v Dorse – considerations: size, nature, temperament of dog; Dorse’s contentions that the dog did not constitute a nuisance as was not allowed to roam on common property. Validity of certificate: The Regulations are silent as to the period of validity of the certificate. However such a certificate must be obtained whenever a gas appliance is installed, altered and upon change of ownership of the unit. Thanks so much for the info, with the current load shedding owners are more inclined to go the route of gas in just not stoves but showers etc. On another question slightly related, what about generators? This question has come up in a number of my Trustee meetings? What a coincidence. I was discussing this very point with one of my trustee boards last night! This seems to apply to permanent fixtures. What is the position regarding portable braais? I am thinking specifically about spit braais where gas bottles of up to 30 kg are sometimes used. Prescribed Conduct Rule 9 of the Sectional Titles Act applies to portable braais, as well as the warning relating to the insurance policy. You should also refer to your scheme’s registered rules, which will be read with PCR 9. Section 18 of the Pressure Equipment Regulations deal with transportable gas containers. This entry was posted on July 22, 2015 by Paddocks in Inspiration, Kitchen, Legal, Lifestyle, Mindful living, People and tagged apartment life, apartment living, body corporate, gas braai, gas installations, health and safety, zerlinda van der merwe.